With a flavor that is refreshingly bittersweet and similar in flavor to anise, tarragon is known as one of the four fine herbs of French cooking—the other three are parsley, chives, and chervil. 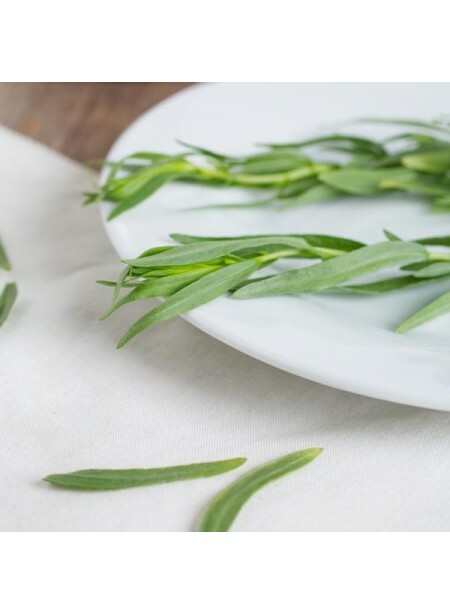 Providing a fresh herbaceous flavor, use Organic Tarragon Leaf Flavor Extract in clear beverages, sauces, ice cream bases, and more. Organic Tarragon Leaf Flavor Extract is vegan, kosher, and gluten-free.